You are at:Home»Advertising»Advertising Options on YouTube You Should Know! Video content is a secret to successful content marketing in 2019. As the web’s second largest search engine, YouTube occupies a unique space within the Social Media system. YouTube has more than 3 billion searches a month. 100 hours of video are uploaded every minute. According to researches, it is bigger than Bing, Yahoo, Ask.com, and AOL. When it comes to video content, YouTube is the king. YouTube is great for marketers because its content can be repurposed across various platforms. Once you add a video to your YouTube channel, it is easier to share it on other social media websites. YouTube is not just a channel anymore, it is about the video and the viewer. You have to get the right type of audience to watch your video. You need to understand your audience and what they want, their needs. Your major emphasis should be on audience retention. You need to build a long term strategy. All of it can be done through YouTube advertising. Display Ads: These ads appear to the right of the feature video, and above the video suggestions list. For bigger brands, this ad may appear below the player. Overlay Ads: These ads are semi-transparent overlays which appear on the lower 20% portion of the video a user is watching. Skippable Video Ads: Skippable video ads allow viewers to skip ads after 5-10 seconds. These ads are inserted before, during, or after the main video. If you use this option, you may see a mix of skippable and bumper ads play back to back at times. Non-Skippable Video Ads: Non-skippable video ads must be watched to completion before the desired video can be viewed. These ads can appear before, during, or after the main video a user intends to watch. Bumper Ads: These are non-skippable video ads of up to 6 seconds in length which have to be watched before the desired video can be viewed. If you turn on this option, you may see a mix of skippable and bumper ads play back to back at times. Sponsored Cards: Sponsored cards display content that may be relevant to the viewers’ video, such as products featured in the video. Viewers will see a teaser for the card for a few seconds. They can also click the icon in the top right corner of the video to browse the cards if they so choose. 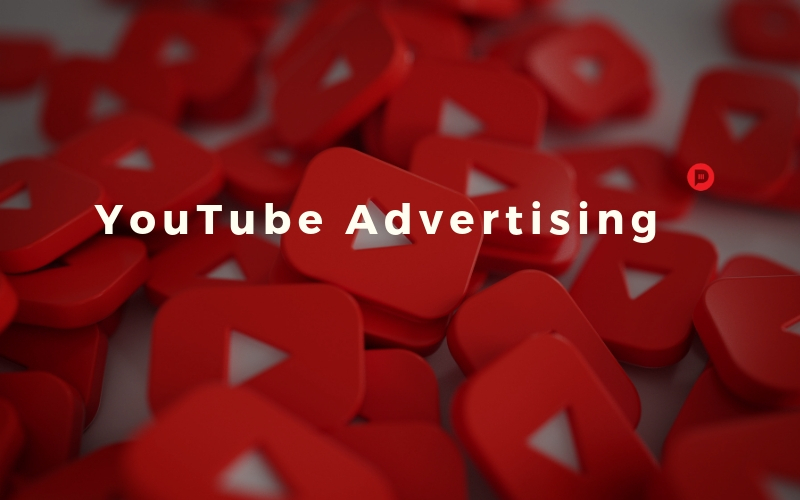 YouTube is owned by Google and this means that you can setup YouTube ads through your Google ads account. The type of ad you select will impact the price you pay for the advertisement. By the year 2020, 80% of internet traffic will come from the videos, which means you should follow the trends and curate video content more and more to have an edge to be successful. Don’t miss on YouTube advertising it’s only going to get more competitive year on year!